A couple of years ago, we did a review on the Buckshot 2.0. 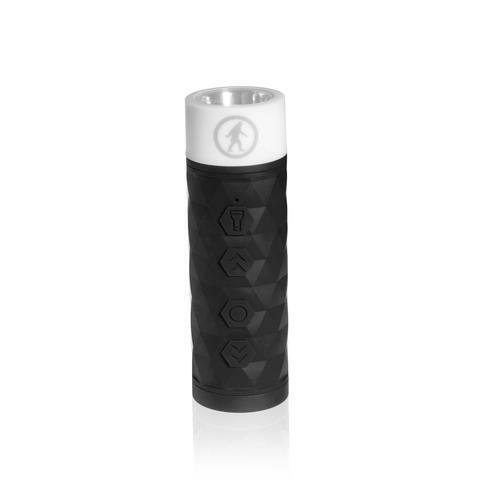 The product by Outdoor Tech got a bit of a boost with an all-in-one wireless speaker, flashlight, and power bank. We have a chance to review this for you today. This product is very similar to the 2.0 with the speaker part- at least in the rugged design and look. The buttons to control the speaker part are mostly the same. The difference is in the flashlight, of course, and there is only about half the Bluetooth range and battery time. This device has a 2,600 mAh lithium battery. This one also has a USB output so you can charge your devices. The flashlight has four settings- high beam, low beam, strobe/SOS, and lantern mode. The brightness goes up to 100 lumens. 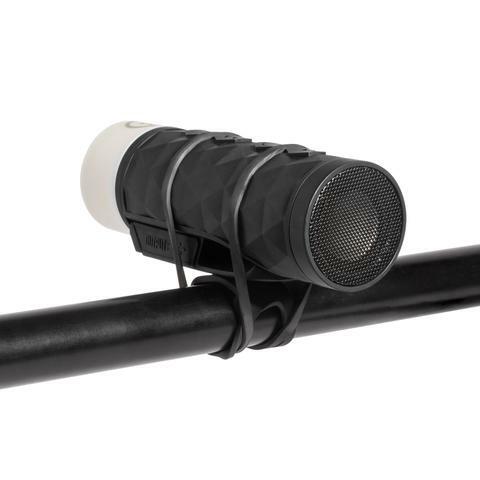 If you need a bike headlight at night, this is not a great solution. You would probably need something with more lumens. Maybe you still might like it mounted for the tunes, and using the flashlight for something else, though. Other ways to mount include using the standard 1/4”-20 thread and mounting clip. This gadget is pretty cool for outdoor use, and it has some water and dust/dirt resistance, but is not completely waterproof. If you want to buy this, it currently costs $59.95 on the website, and comes in colors of Black, Mossy Oak(camouflage), and Sailor Blue. We were not paid for this review, though we did receive the product for free. If you wish to purchase this through our Amazon Affiliate link, we may receive a portion of the proceeds.